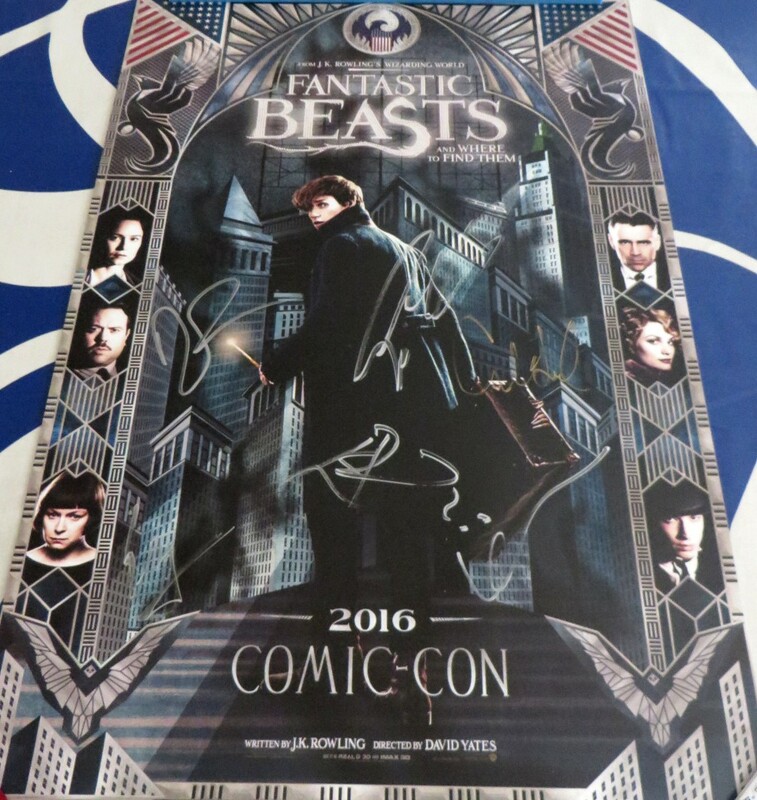 Fantastic Beasts and Where to Find Them (Harry Potter prequel from J.K. Rowling) 2016 Comic-Con 13x20 inch exclusive poster autographed in gold or silver by stars Ezra Miller, Eddie Redmayne, Colin Farrell, Dan Fogler, Katherine Waterston and Alison Sudol. Obtained at very limited 2016 Comic-Con signing, with photo from the signing, lenticular WB wristband required to attend the signing and certificate of authenticity from AutographsForSale.com. ONLY ONE AVAILABLE FOR SALE.